I always look forward to photographing in different locations during the changing seasons, and this August was no exception in this picturesque vineyard! 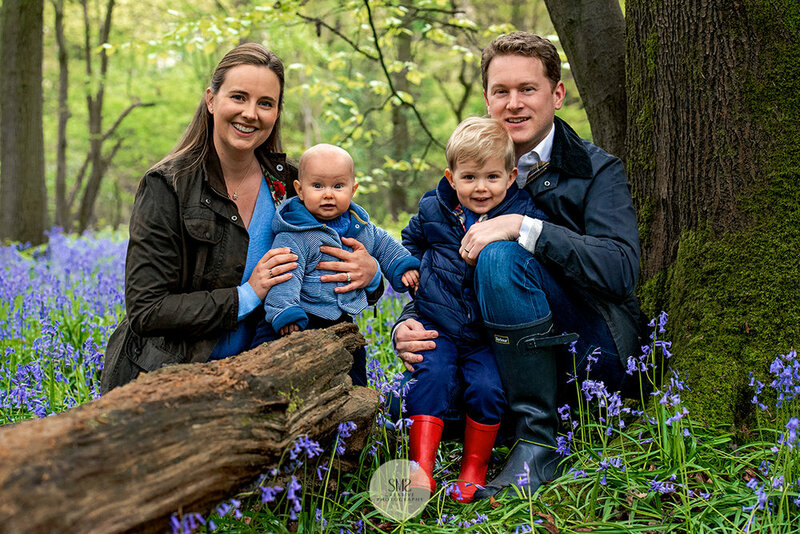 With exclusive access to this local gem steeped in history, I recently photographed this lovely family, whom I had previously photographed in the bluebell woods when the boys were much younger, they were looking for something a little different to update the pictures on their wall and to mark a particular milestone in their lives. I think you'll agree the results speak for themselves! This vineyard is perfect for photo-shoots right until harvest time in October, when the vines are laden with fruit. 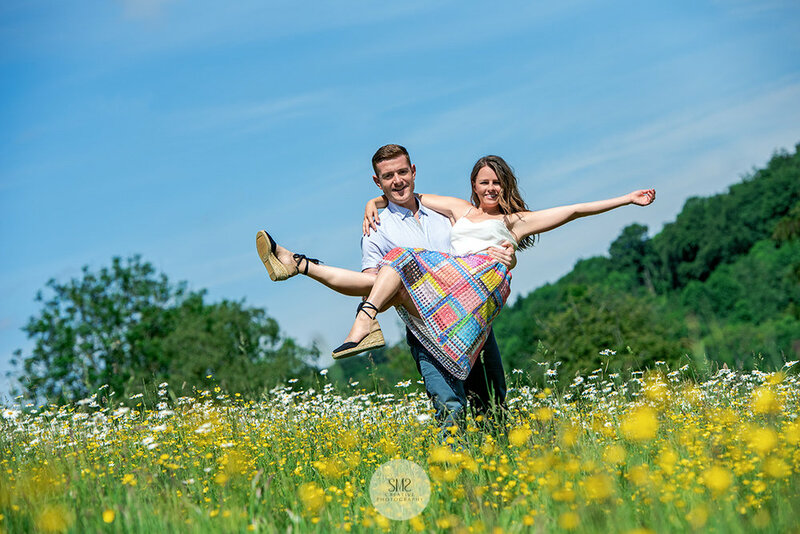 If you haven't already booked your photo-shoot do get in touch, it could be just what you have always wanted to do, or treat someone special to a fun experience with results to remember it by and to treasure. 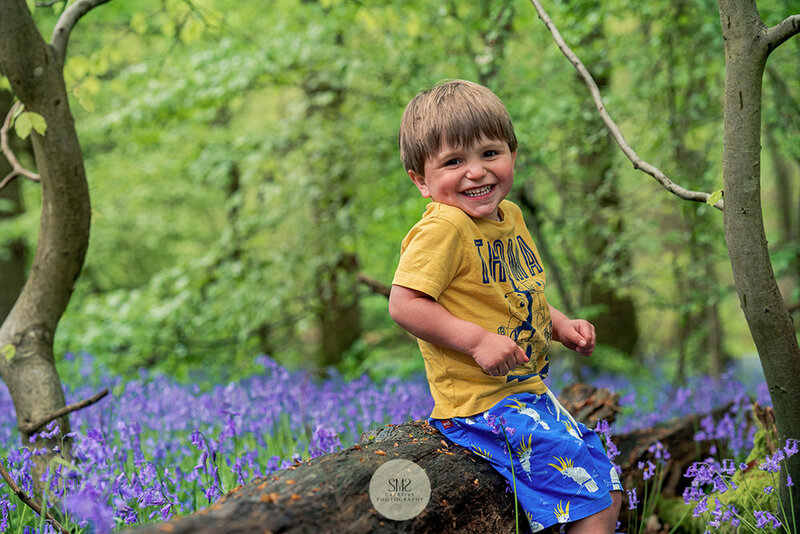 Our Meadow photo-shoots that take place in June are proving to be very popular. 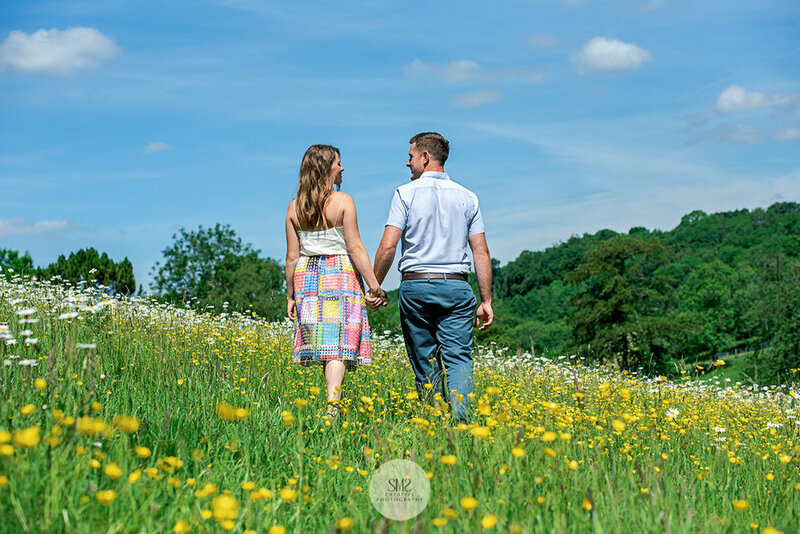 This year was no exception, this secluded meadow on private land was a wonderful display of summer at it's very best, abundant with grasses, buttercups and daisies, a vibrant backdrop with blue sky to match, just heavenly! If you are looking for somewhere a little different for your next photo-shoot, or from previous location photo-shoots you may have enjoyed with us over the years, do let us know, so we can be in touch next year, when Mother Nature has done her thing; but remember this meadow is only at it's very best for two-three weeks before it goes to seed and has to be mowed in preparation for the coming year. 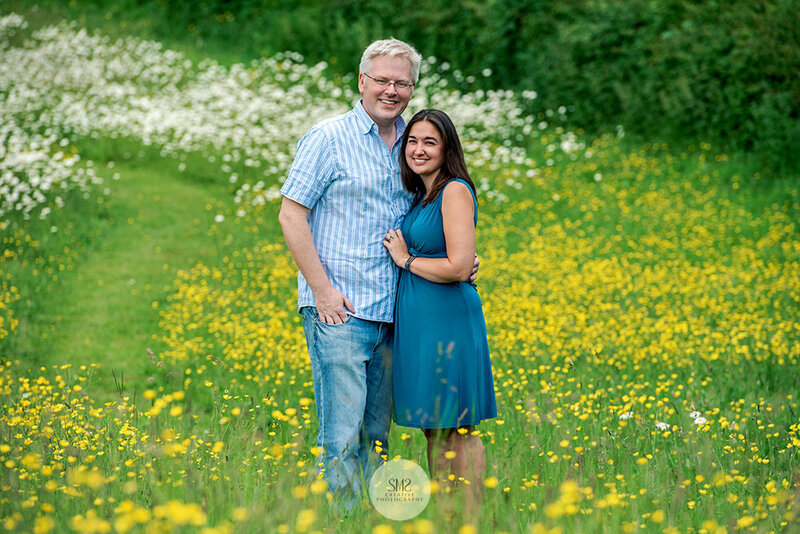 To view more about our meadow photo-shoots click here. 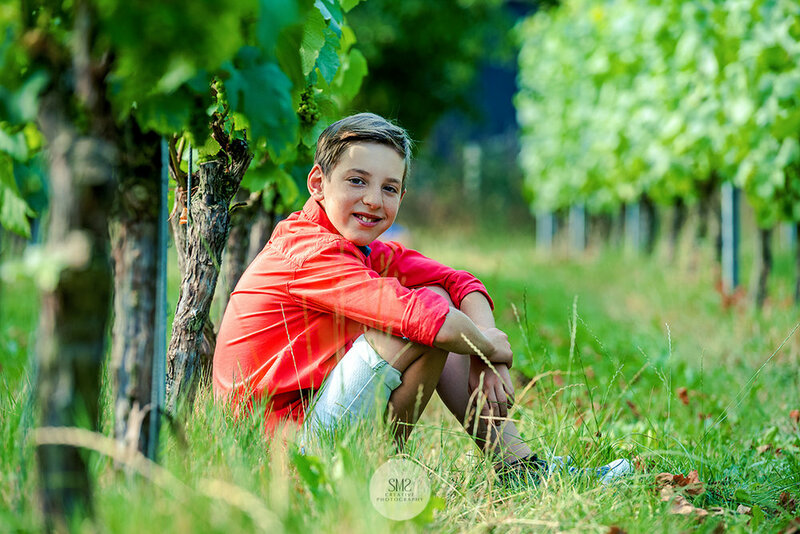 Our exclusive vineyard photo-shoots are a popular experience for all the family, they take place in a quiet corner of the Kent countryside which has been in the same family for over 300 years! 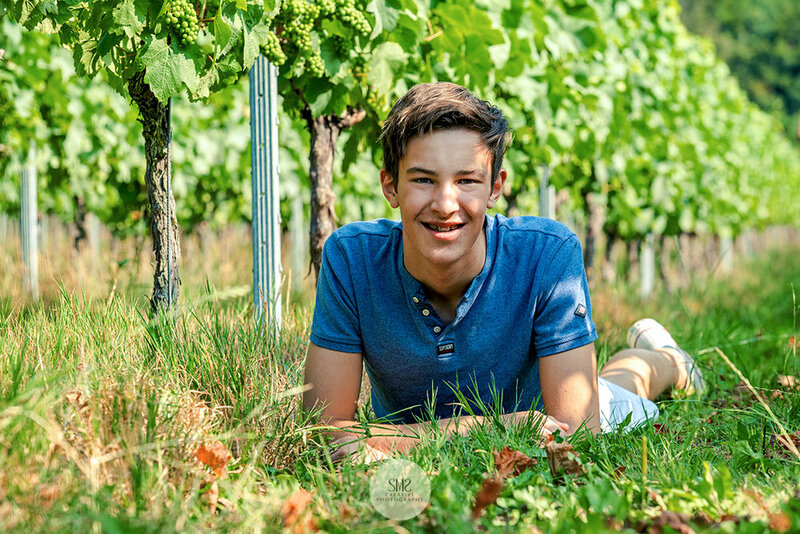 It's a little different compared to our other photo-shoot locations because of the varied landscape and is particularly beautiful from July until harvest time in October, when the vines are laden with red and white grapes. Now is the time to make time to photograph your loved ones in this timeless natural setting. I will guide you through your experience and advise you how to display these moments to enjoy now and for future generations to come. 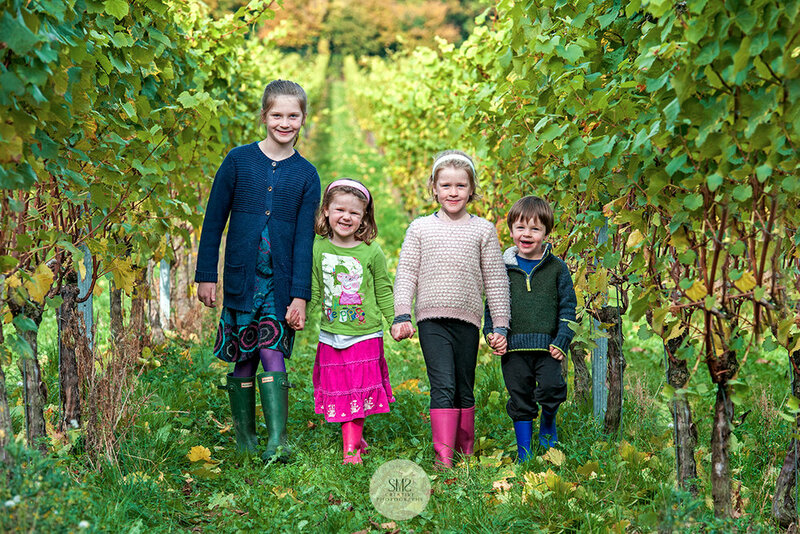 To view more about our vineyard photo-shoots click here. 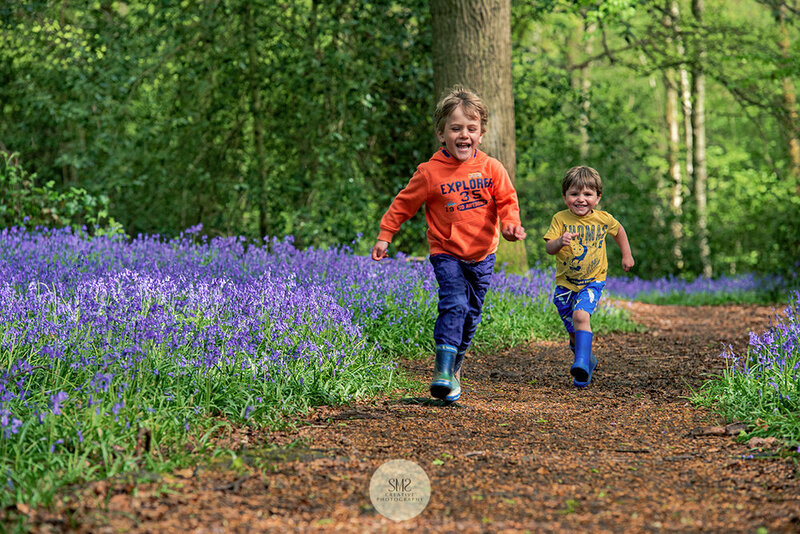 Our Bluebell photo-shoots in April and May are always one of my highlights, taking place in local ancient woodlands and private gardens where these wonderful wild flowers are in abundance. We always tread carefully so as not to unsettle them, treating them with the respect they deserve by sticking to pathways and exposed fallen trees. 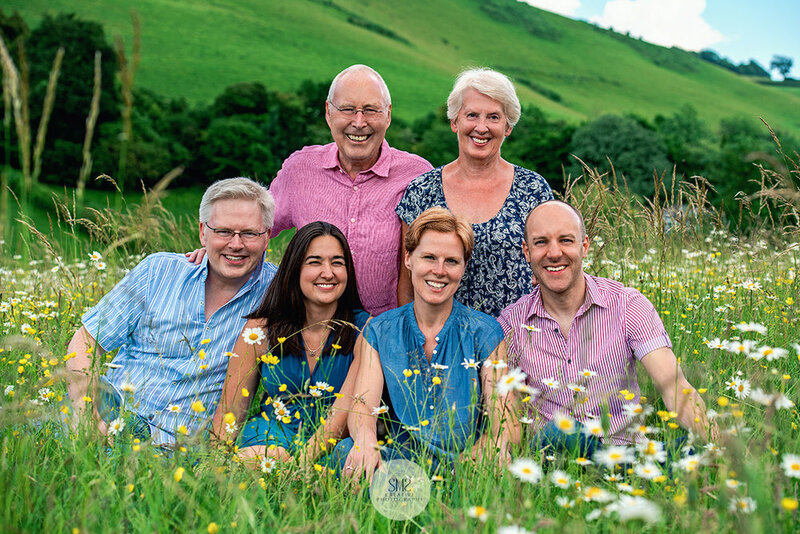 This year I was lucky enough to photograph many families, some returning and some new, to capture precious family moments against this vivid backdrop of bright colour. 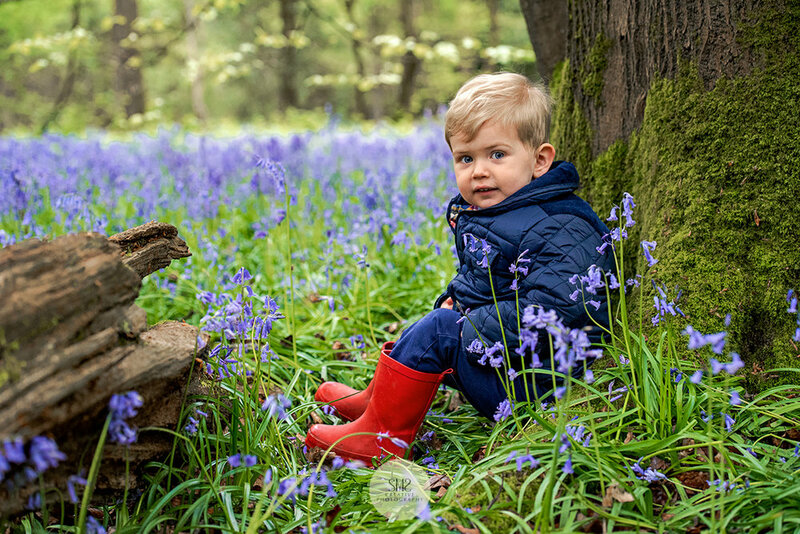 Due to this year's extreme weather, the bluebells were late to flower but when they did arrive they came out in full force, with a huge rainfall helping to create an impressive crop just in time for the May bank holiday. Here are a few of the photographs from this year. If this spurs you on to look ahead to next year please get in contact so we can book you a slot. Before next year, we are now looking forward to our meadow photo-shoots in late June and early July which are also proving to be very popular since we introduced them in 2016. Create everlasting memories in this little piece of floral heaven. As Mother Nature provides us with a fresh variety of spring wildflowers and grasses, I am looking forward to starting again my beautiful meadow photo-shoots. I truly believe there is no better backdrop to capture family and friends in such a natural and personal setting. 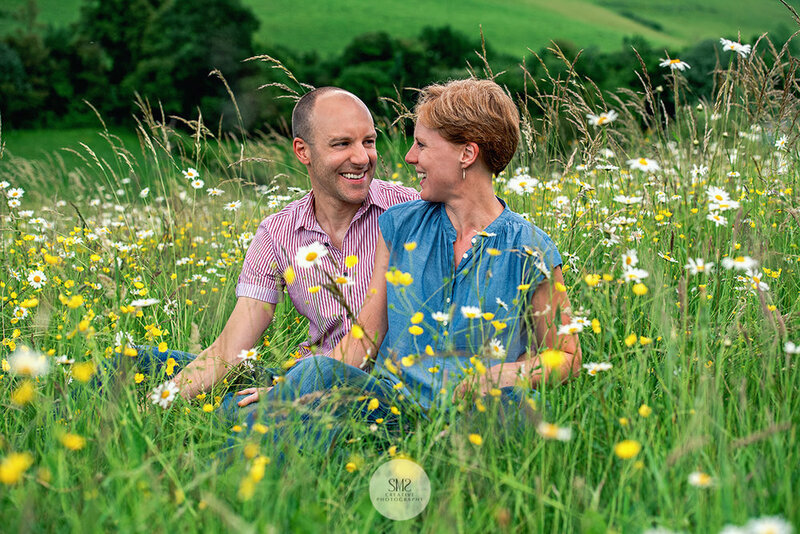 Our Meadow photo-shoots in June are always very popular, taking place in a secret location on private land where wonderful wildflowers are in abundance. Just to reassure any nature lovers, we always tread carefully so as not to unsettle them and stick to the pathway as much as possible. We know instinctively that family and friends are the most precious things we have in life - in this crazy world of work and commitments it is easy to lose sight of what’s really important. Make time to photograph your loved ones in a timeless natural setting. I will guide you through your experience and advise you how to display these moments to enjoy now and for future generations to come. Do get in touch to discuss your ideas and to design your bespoke package. It is the time of year when we all start looking for signs of spring - perhaps this year more than any other after such a cold winter! Of course nothing says spring more than beautiful flowers and for the second time, Hever Castle and Gardens is hosting a Tulip Celebrations event from April 18 - 27 with over 20,000 magnificent spring tulips in bloom. For those of you who have not yet visited, Hever Castle is the childhood home of Anne Boleyn and is a stunning backdrop to the beautiful blooms making this celebration a local spectacle, and a personal highlight! 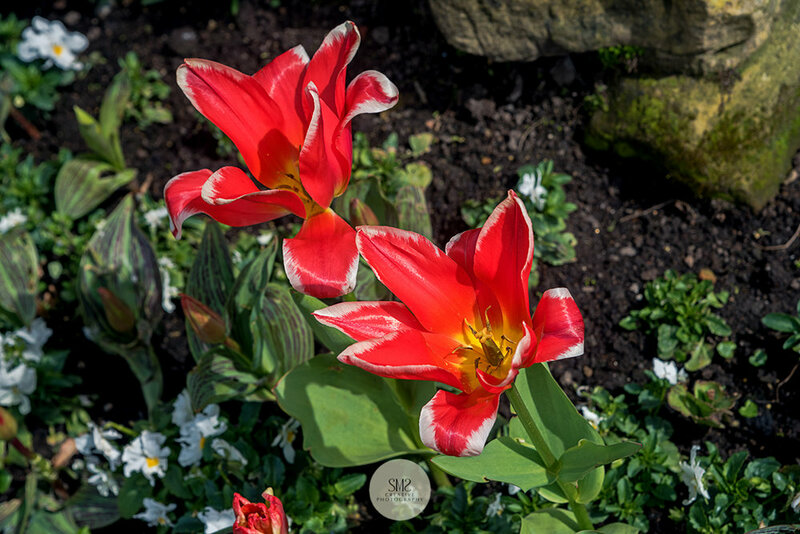 Visitors can enjoy a self-guided tulip trail, or time with Hever’s Head Gardener Neil Miller. I love the vibrant colours, and tulip varieties planted in the Castle grounds, along the stunning Pompeiian Wall, in the traditional Tudor Garden and the ‘Italian Garden’. Documented for the first time this year is the history of the tulip and this is marked with displays and information in the Castle. I found the global footprint of the tulip especially interesting and its journey from Turkey to Holland in the Sixteenth Century. I will be at Hever Castle to enjoy this up-lifting time of year over the next few days, of course with my camera. I hope to see some of you there!